Metro Arts in Transit has been notified it will receive a total of more than $20,000 from two funding sources — the Regional Arts Commission of St. Louis and the Missouri Arts Council — to fund public art programs that support local artists, enhance the public transit experience, and add beauty and art to the neighborhoods served by the Metro Transit system. Metro Arts in Transit was recently awarded a $10,000 grant from the Regional Arts Commission and a $10,117 grant from the Missouri Arts Council. Both organizations work to broaden the growth, availability and appreciation of the arts, and these funds will be used to support three transit-oriented community art programs: MetroScapes, MetroLines and Art in Motion. 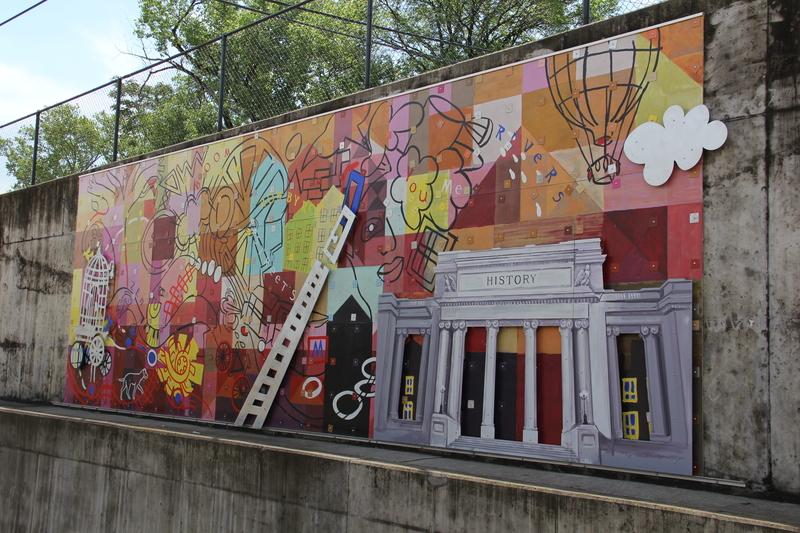 MetroScapes is an annual public art program that reproduces the original work of local artists on large posters and features them at more than 200 MetroBus shelters and Metro Transit locations throughout the St. Louis region for a year. MetroLines is a regional poetry competition that invites writers and local poets to submit their works for consideration to be reproduced on posters including visual imagery, and displayed on MetroLink trains and MetroBus vehicles as they travel throughout the bi-state area. Art in Motion is an art program that allows the public to transform Metro buses into rolling works of art. Children, families and others are invited to paint specially designed murals on each side of the art bus, and the murals stay on display for one year as it travels along various routes throughout the St. Louis region.